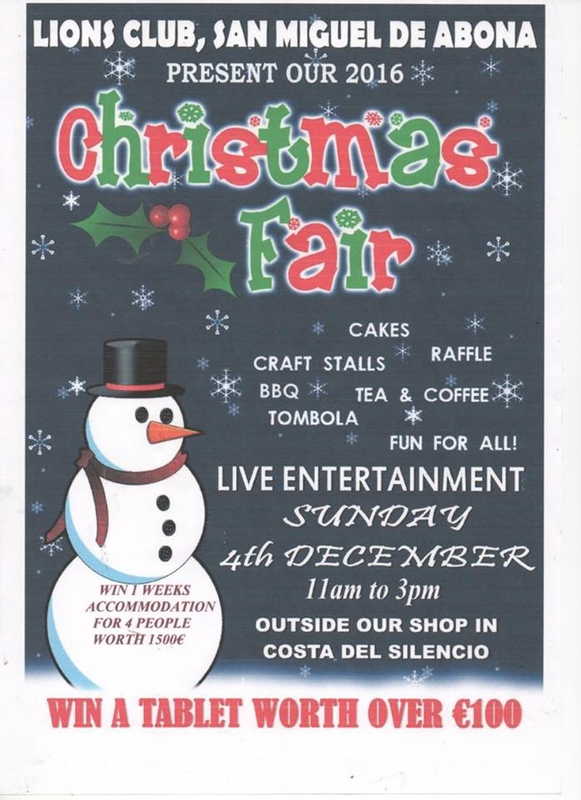 HO HO HO the Lions Club in San Miguel are holding a Christmas Fair this Sunday, so come along for a festive time in aid of a good cause. There will be cakes, live music, craft stalls and much more. The fair is on from 11am until 3pm.